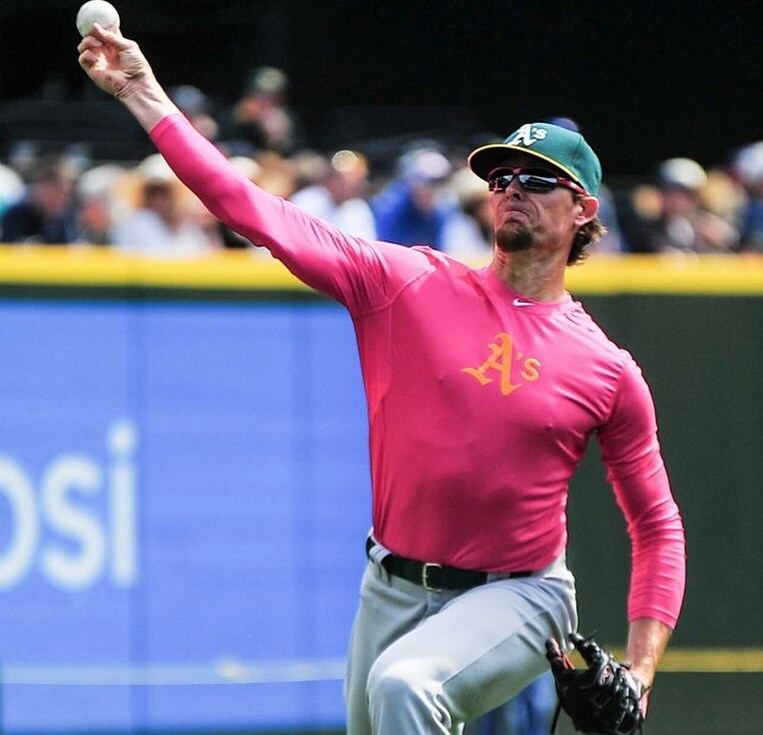 Today we recap the 10th year of MLB’s pink take-over. 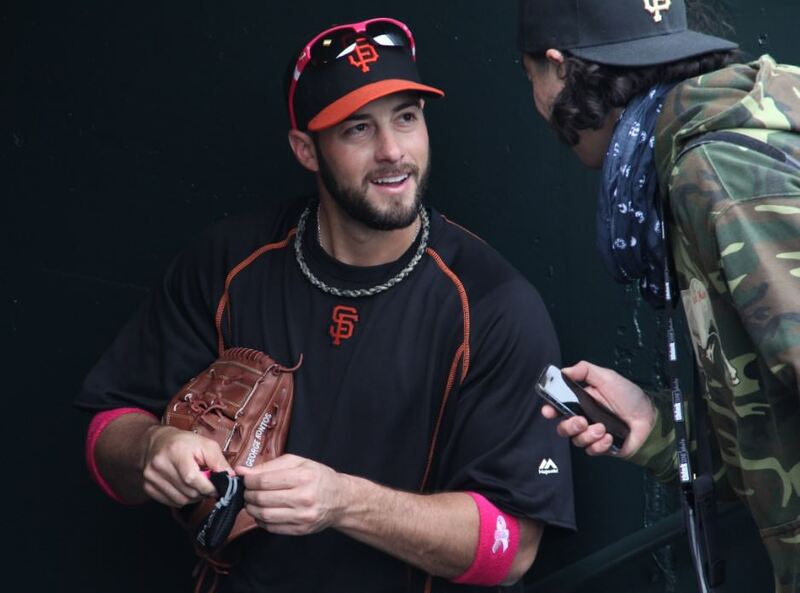 The manufacturers get to have a lot of fun with it, and they know the cameras will be popping. 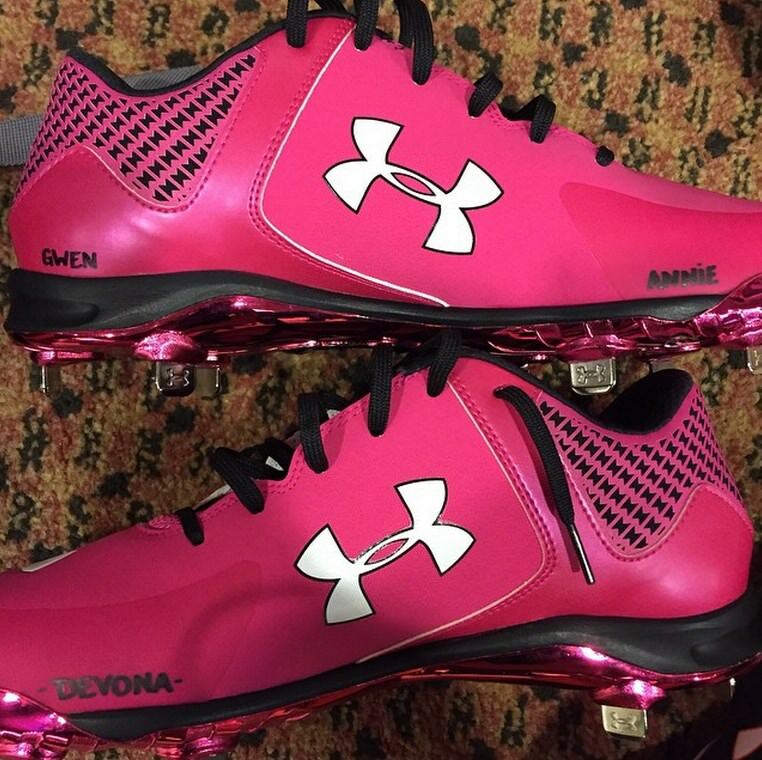 Under Armour hooked Wil Myers, Joe Panik, and others with the UA Yard in pink. 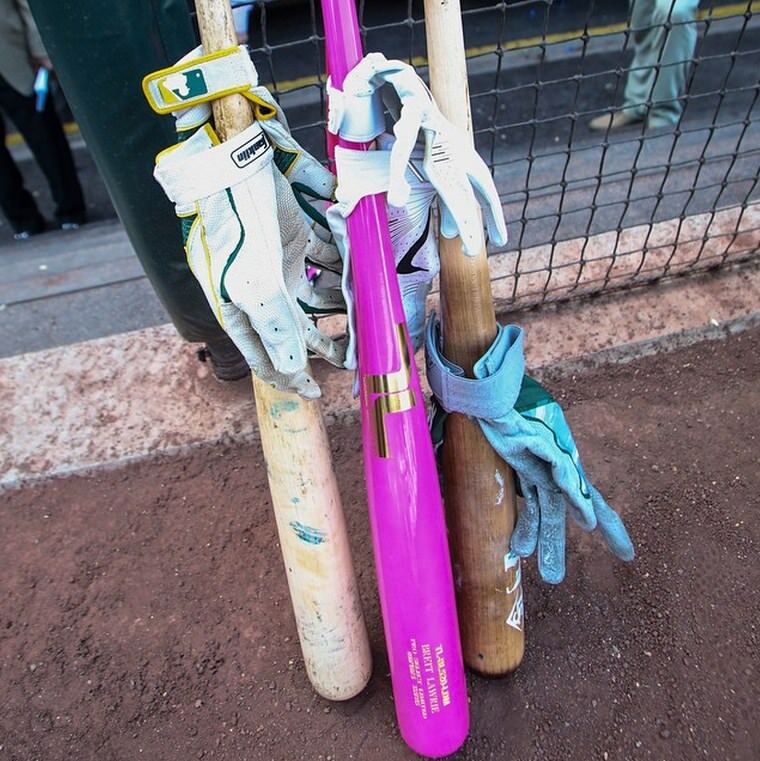 These are unavailable in that color. 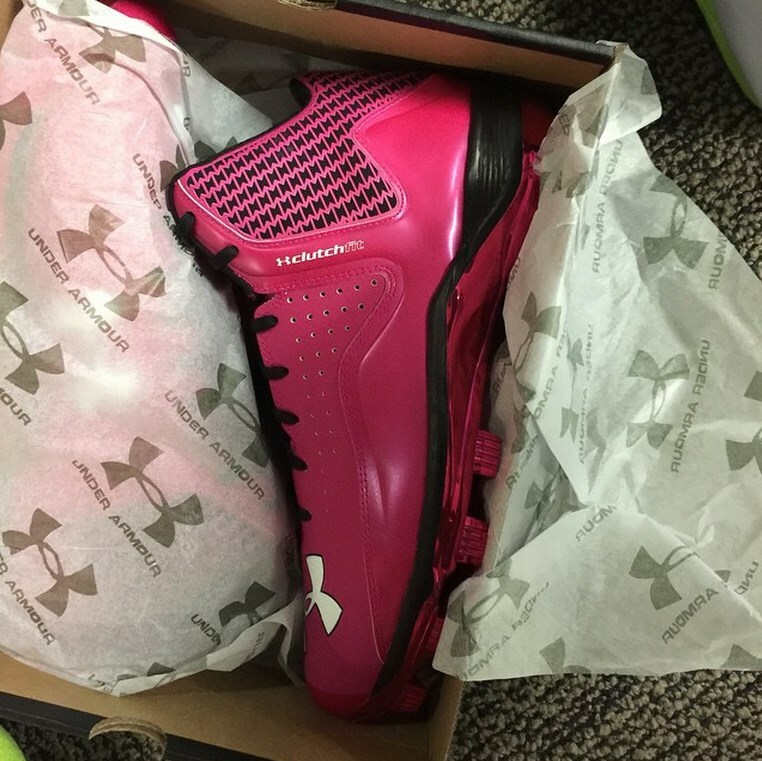 Dee Gordon got what looks like a custom pair of UA lows. 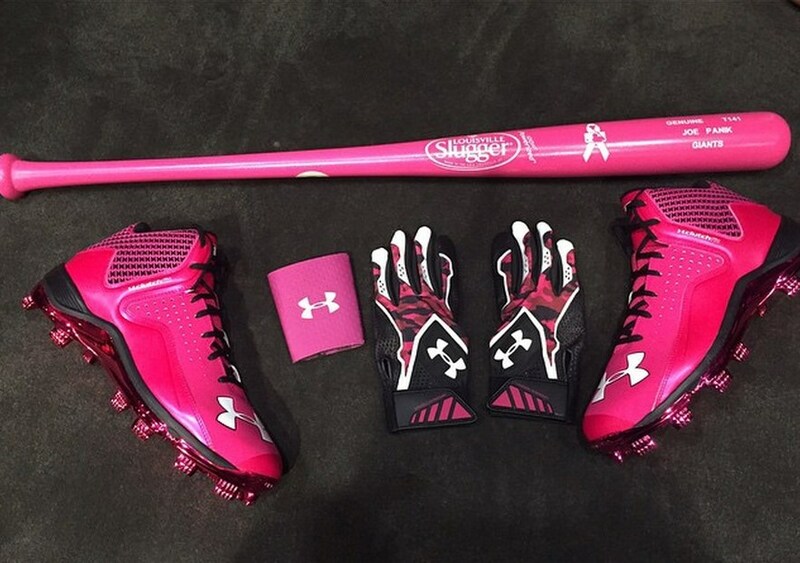 Of the Under Armour gear, the Yard Undeniable batting gloves are our favorites. 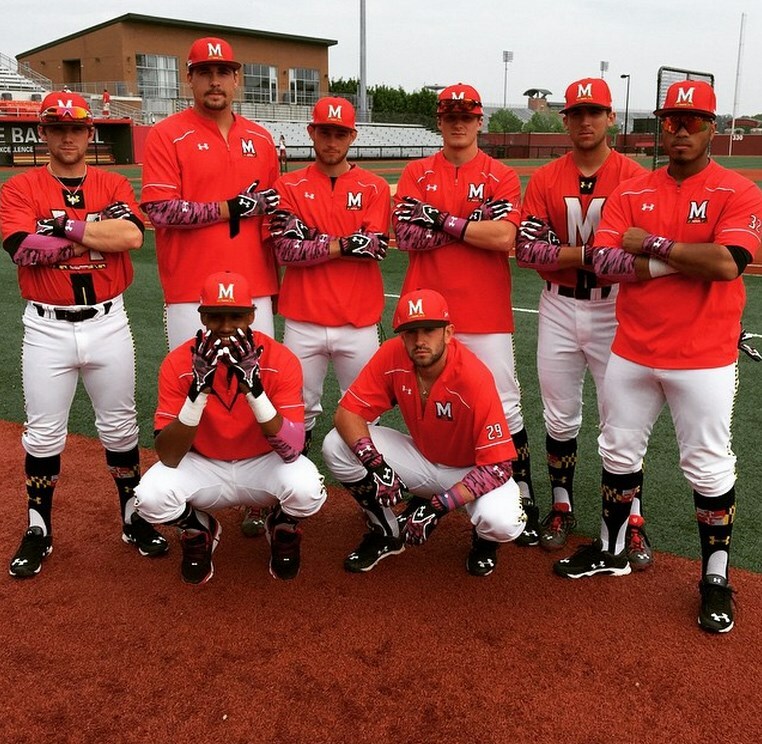 Maryland baseball showed these off, too. 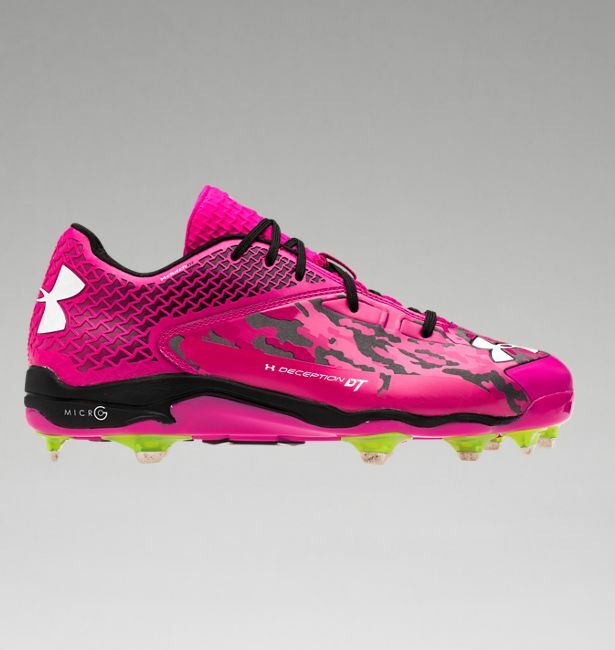 Under Armour did make a pair of pinks available, the Deception DT, above. Get them here. 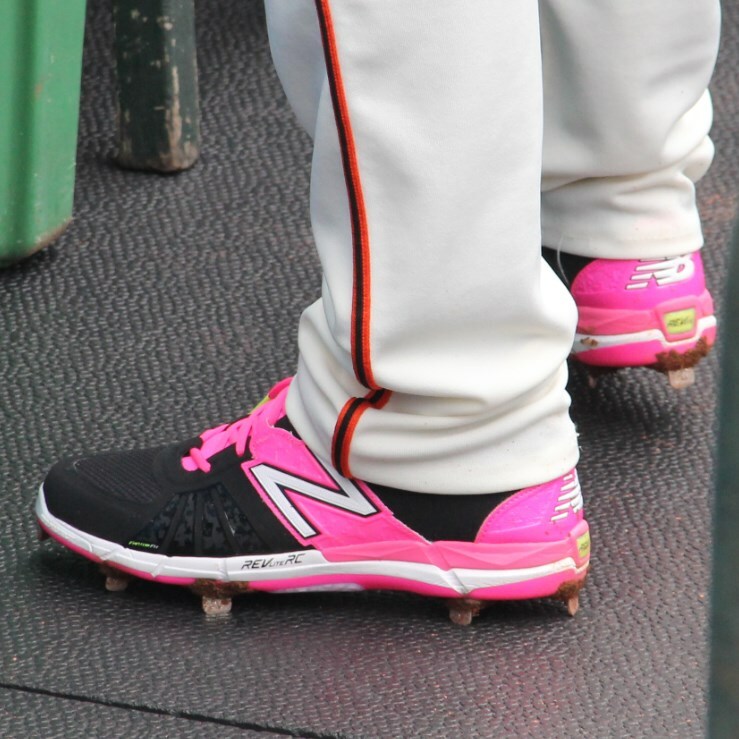 It looks like New Balance went pink with the 3000v2. 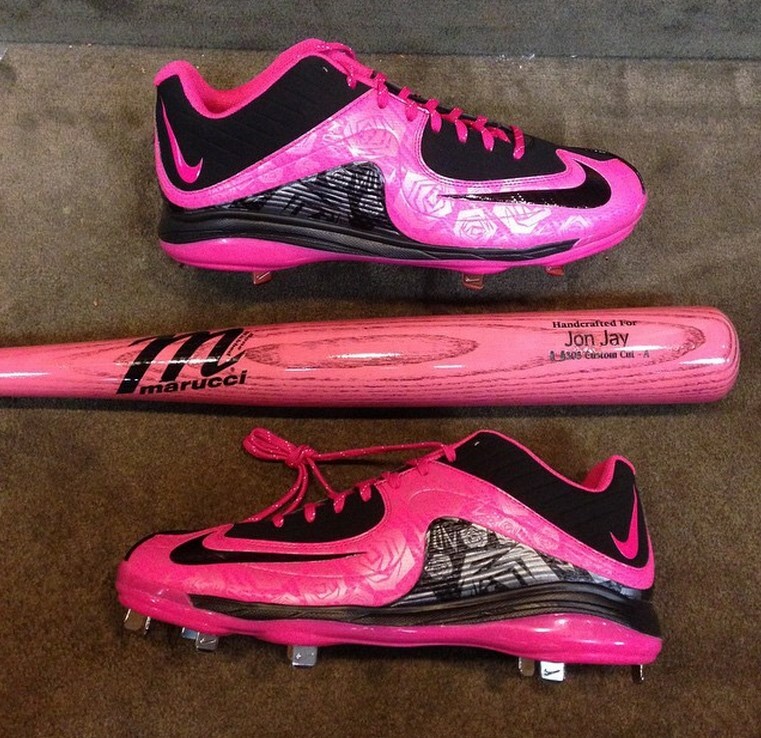 Robbie Cano got his own custom pair done by Mache Customs. 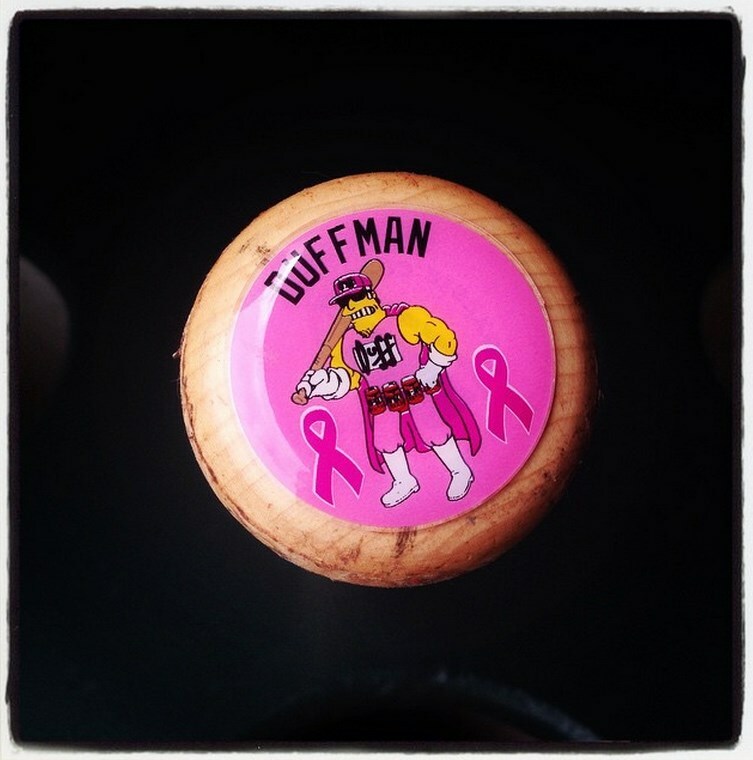 Matt Duffy walked off in a pair as well, along with a Mother’s Day version of his “DUFFMAN” bat knob decals. 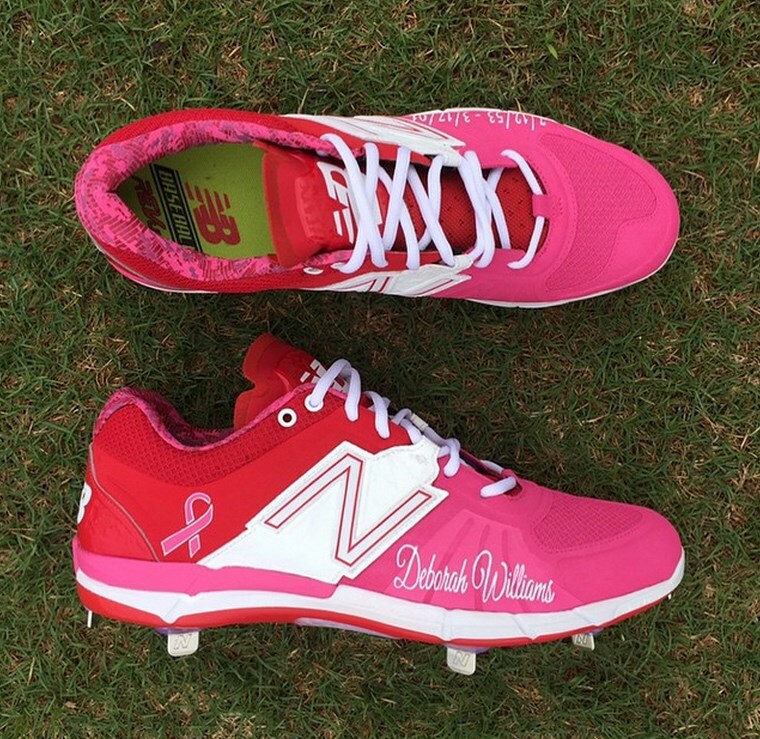 Jerome Williams has a known love for pink, so today was obviously no different, as he had his own customs done for mother Deborah, by Nomad Customs. 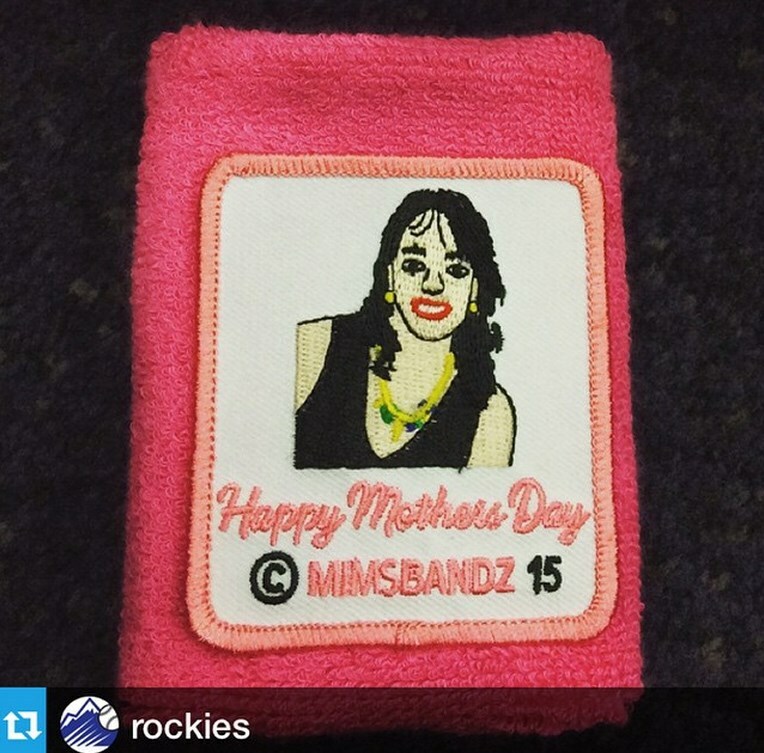 Nolan Arenado took it to another level with his Mother’s Day Mimsband. I would have loved to see his mom’s face when she saw this pop up on her feed. 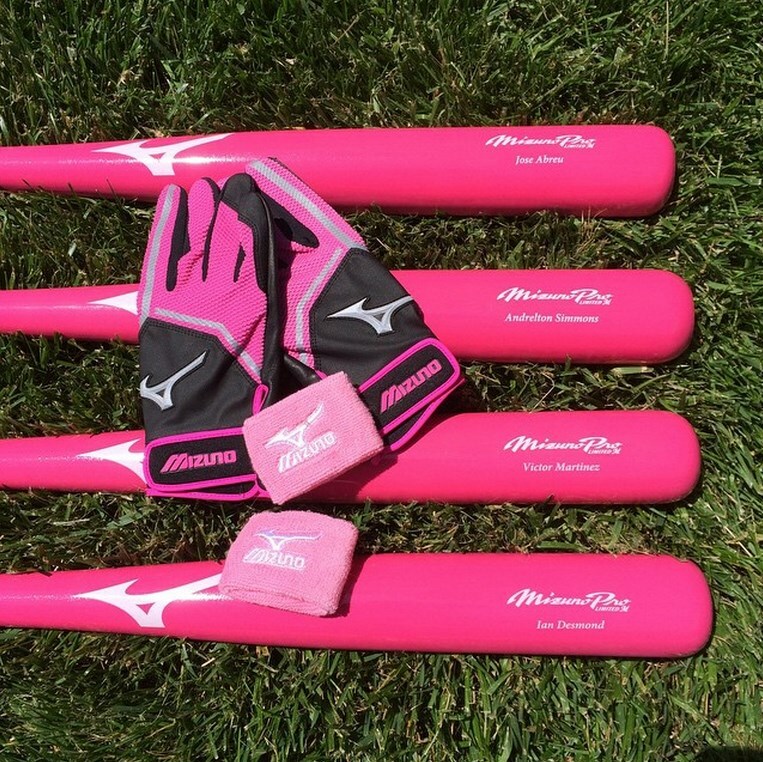 Pink bats for days. Everybody got in on it. 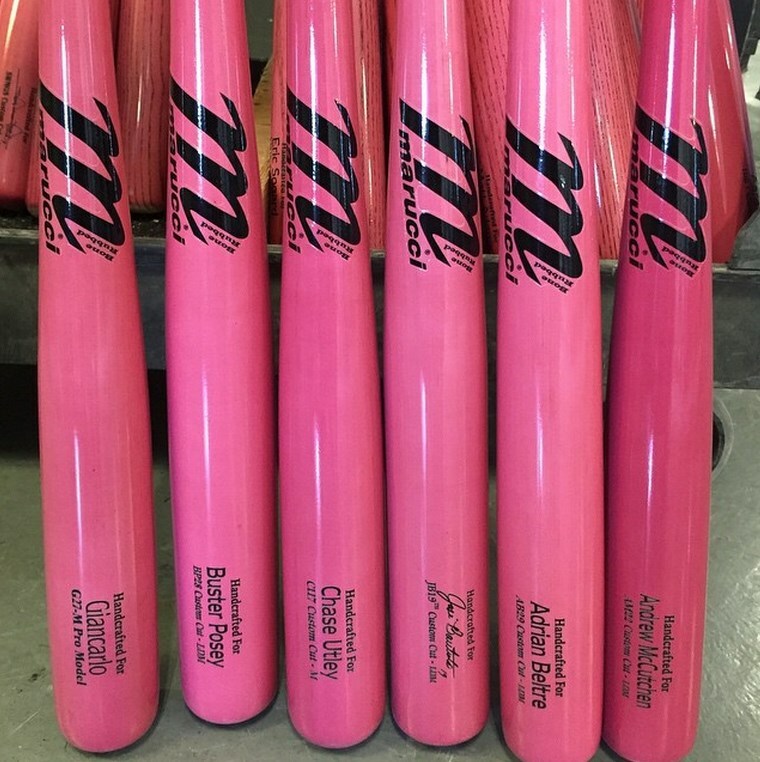 Alcides and Zinger went the extra mile with the “MOM” custom cut. 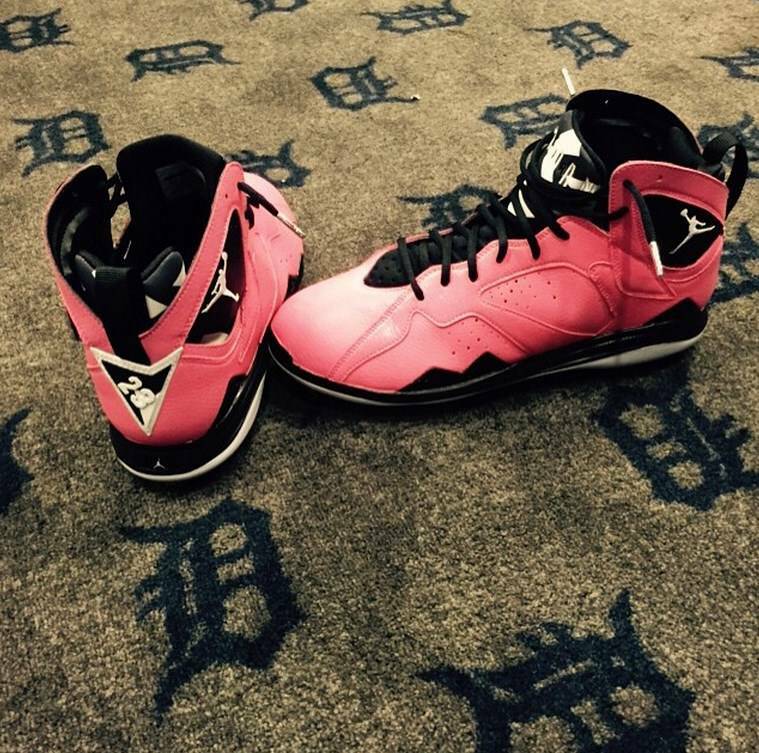 Above, Jordan 7 cleats worn by David Price and CC Sabathia. 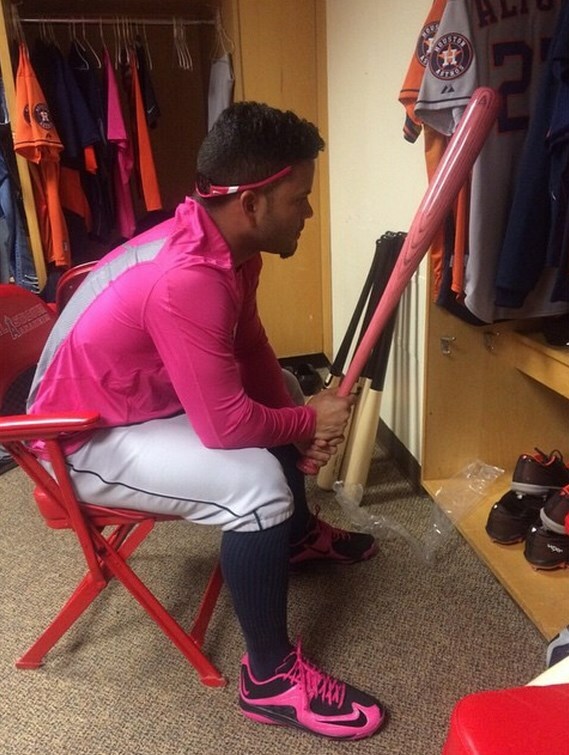 Machado wore them too, but no good photos. 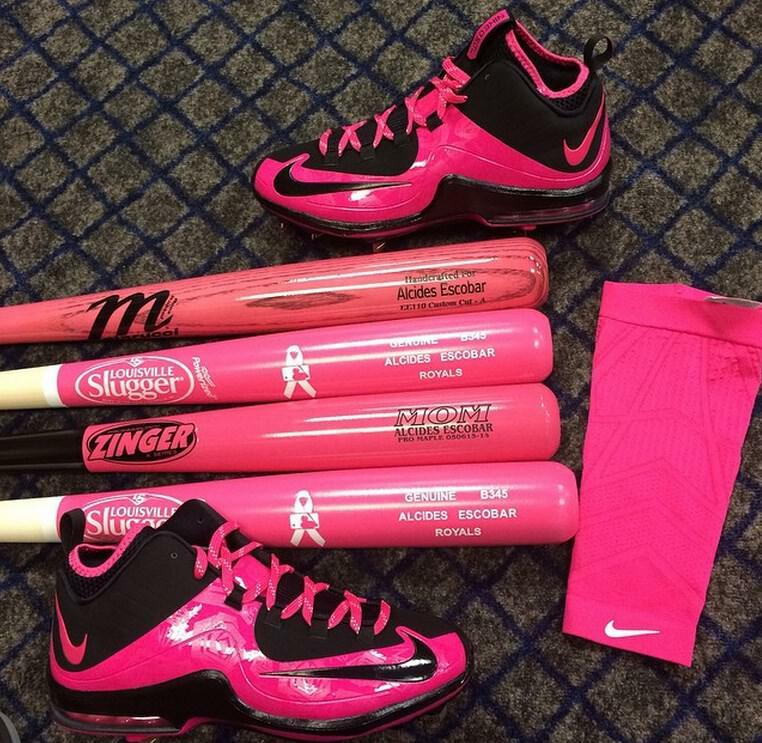 To see some great looks at Nike’s Mother’s Day editions, click here. 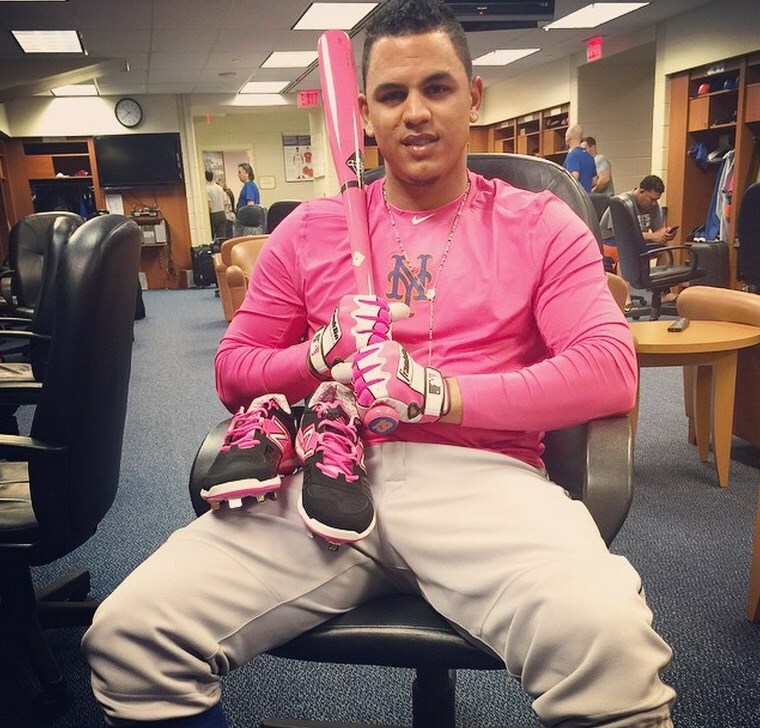 Juan Lagares had the whole get-up, including the Franklin CFX Pro batting gloves, which are available in limited quantities. 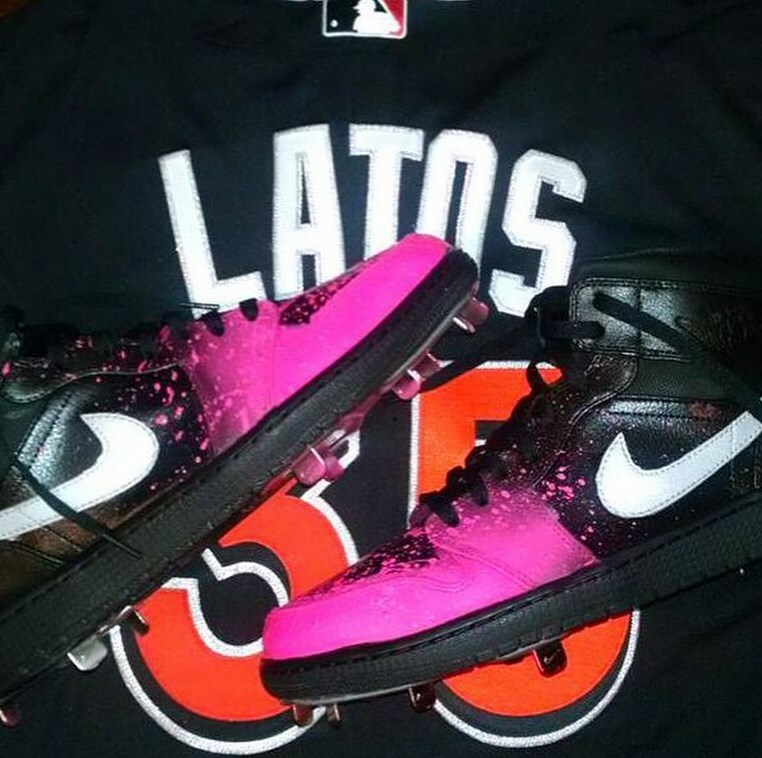 Mat Latos had a pair of Jordan 1s done up for mom by Custom Cleats, Inc.
Nike put the icing on the cake with the Nike Show-x2 shades in pink. 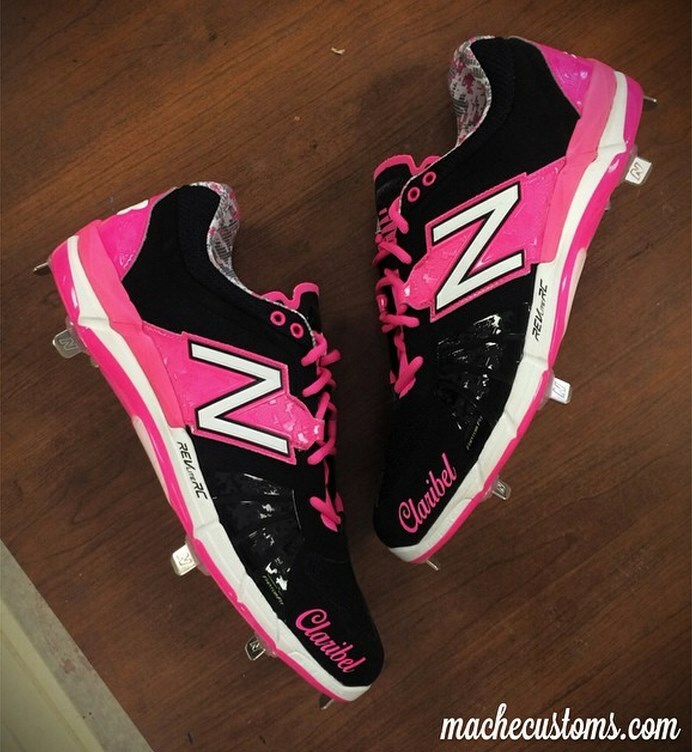 Which of the cleats did you like best? 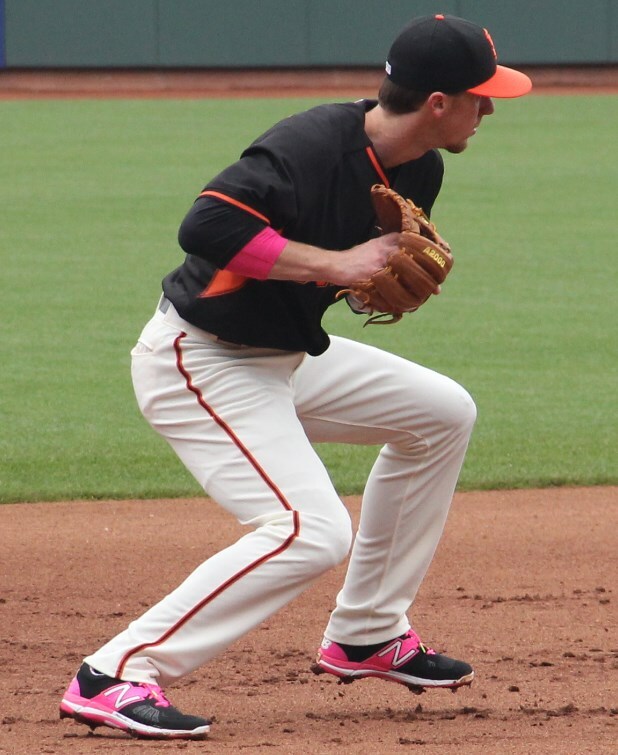 what type of ua wrist sleeve does Panik use?